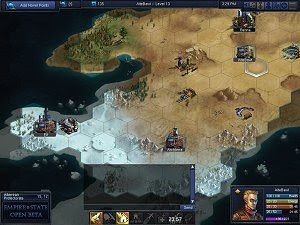 From the lead designer of Demigod, Empire & State is a political MMO strategy game in the style of Risk and Afterwind. You can choose a role just like in real life and influence your world in several different ways, without any of the boring grind that usually follows free MMO games. Step into the shows of a General, CEO, President or Criminal Mastermind and play in a world that is inhabited by thousands of other human players, each one with their own ideas and intentions, capable of surprising you. Cooperate with them and build empires and flourishing businesses – or criminal syndicates – and make a stand in the game world of Altea.